Tax planning may be low on your list of favorite financial chores but it's essential for high net worth individuals. Without a carefully-developed tax strategy, high net worth investors run the risk of missing out on key tax benefits and paying more in taxes than necessary. A higher tax liability can diminish the value of your investment earnings over the long term. With new tax law changes taking effect in 2018 as part of the Tax Cuts and Jobs Act, it's a good time for high net worth taxpayers to revisit their plan to see how they might be impacted and what opportunities there are to generate tax savings. As you sit down with your accountant or tax professional, here are the most important topics to review. If you have a sizable investment portfolio, you've likely encountered the capital gains tax when selling investments at a profit. The higher short-term capital gains tax applies to investments held less than one year, while the lower long-term capital gains rate applies to investments held longer than one year. Under the new tax bill, the capital gains rate didn't undergo any fundamental changes in structure. The long-term capital gains rates of zero percent, 15 percent, and 20 percent are still in effect, but the way these rates are applied has changed. The old law applied the zero percent rate to the two lowest tax brackets, while the 15 percent rate fell on the middle four and the 20 percent rate was reserved for taxpayers in the highest tax bracket. The Tax Cuts and Jobs Act, however, aligns the rates with maximum taxable income levels. On the short-term gains side, the obvious change has to do with the restructuring of the tax brackets themselves. Single filers earning $500,000 or more and married couples with a combined income of $600,000 or higher fall into the 37 percent tax bracket. This is the highest capital gains rate to be aware if you're a high net worth investor who's planning to sell short-term investments. Trump's tax plan instituted changes to the estate and gift taxes which directly affect high net worth individuals. The Act doubled the gift, estate, and generation-skipping transfer tax exemptions, raising them to $11.2 million per person, indexed for inflation. The annual exclusion limit for the gift tax rises to $15,000, while the tax rate for all three remains unchanged at 40 percent. For high net worth individuals who plan to make significant financial gifts to their heirs, the change is a positive, in that it can generate tax savings. To fully leverage the tax changes while they're in place, it's important to consider whether your current estate plan is structured to allow you to take advantage of the higher estate tax limit, while ensuring that you're not passing on more (or less) of your wealth to your spouse, children or grandchildren than you intend to during your lifetime. You should also be coordinating your federal estate tax planning efforts with any tax implications that may be triggered at the state level. One important thing to note about these changes: they're only set to remain in effect until December 31, 2025, unless extended by additional tax law updates. At that point, they'd revert to the lower exemption levels. The Act doesn't currently include any provision against "clawbacks", which would allow prior financial gifts to be taxed as part of your estate under the old limits. There's still time for regulations prohibiting clawbacks to be put in place but that's something to consider when making gifts. Donating part of your wealth to charity can yield a tax deduction and beginning in 2018, the deduction limit for cash contributions to eligible charities increased from 50 percent of Adjusted Gross Income to 60 percent. The Act also repealed the Pease limitations, which capped the amount of charitable deductions available to high-income taxpayers. The higher limits on deductions are a boon for high net worth taxpayers who itemize and it's possible to make sizable tax-free transfers of wealth by putting some of your assets into a charitable lead annuity trust. If you're over age 70 1/2, you can avoid paying income tax on up to $100,000 in charitable donations made from a traditional IRA annually for an added tax benefit. Donating to a donor-advised fund can also yield an upfront tax deduction. Once again, however, these changes will expire at the end of 2025 so it's important to plan how to capitalize on them sooner, rather than later. One final tax issue for high net worth individuals to consider is the introduction of a new 20 percent deduction on business income for pass-through entities. 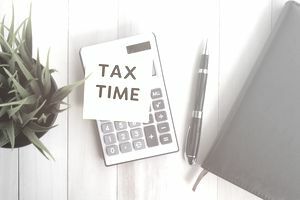 If you operate a business that's taxed as a pass-through entity, you may be able to deduct 20 percent of your qualified business income right off the top, with certain limitations. If you're a high-income earner who owns a business, you may want to explore the advantages of forming a limited liability company to take advantage of this deduction. If your business operates as a C-corporation, you won't be able to take advantage of the deduction but the tax bill does reduce the corporate tax rate from 35 percent to 21 percent, offering another potential avenue for tax savings.